Mini Mural Project Team: Gibson Hall with Co Founders of UP Art Studio, Noah & Elia Quiles. 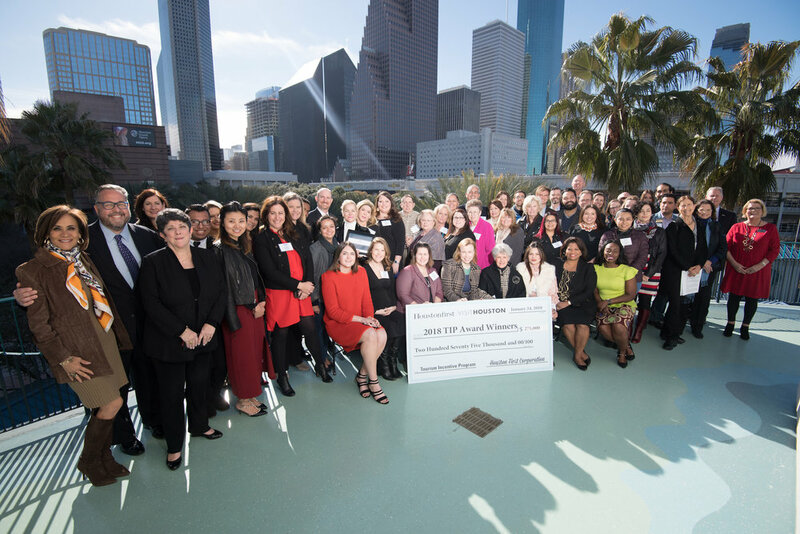 Last week was the 3rd annual Tourism Incentive Program (TIP) Awards and awarded 21 Houston-based organizations with a total of $275,000 to help make Houston a better destination for tourists. 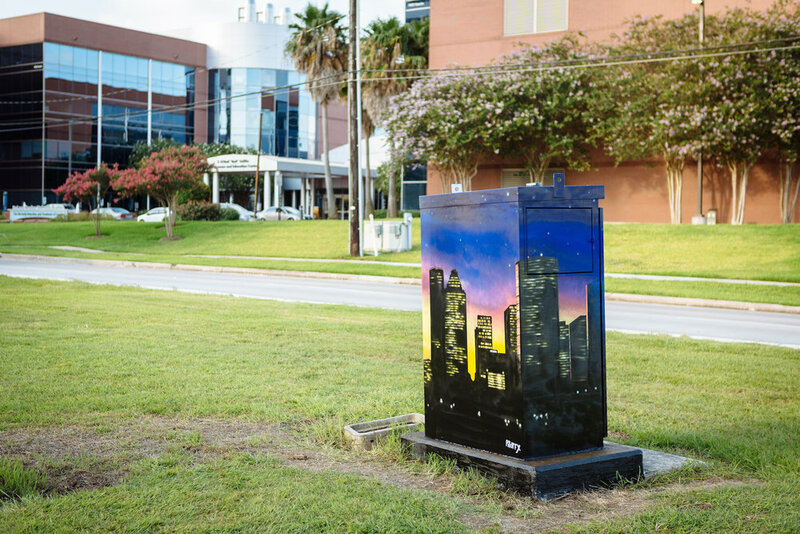 This past year was HUGE for travel and visitors coming to Houston. 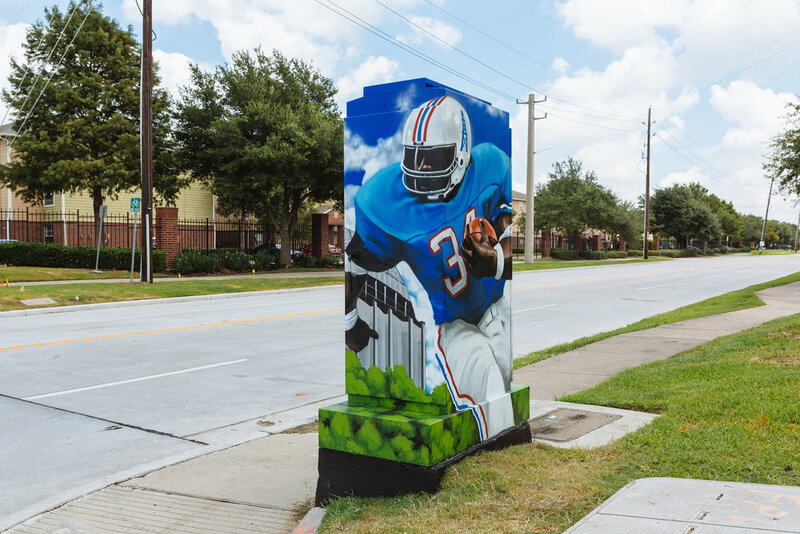 Between the Superbowl, World Series, and several international festivals, over 20 million people visited Houston. 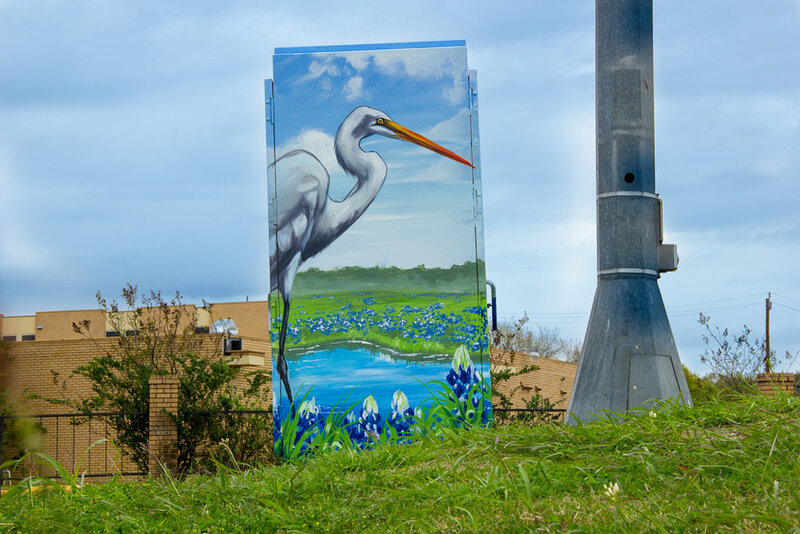 Each organization was eligible to win money from Houstonfirst and Visit Houston if they could create a compelling program involving at least 1 nonprofit and 1 hotel in order to market Houston as a destination worth visiting. 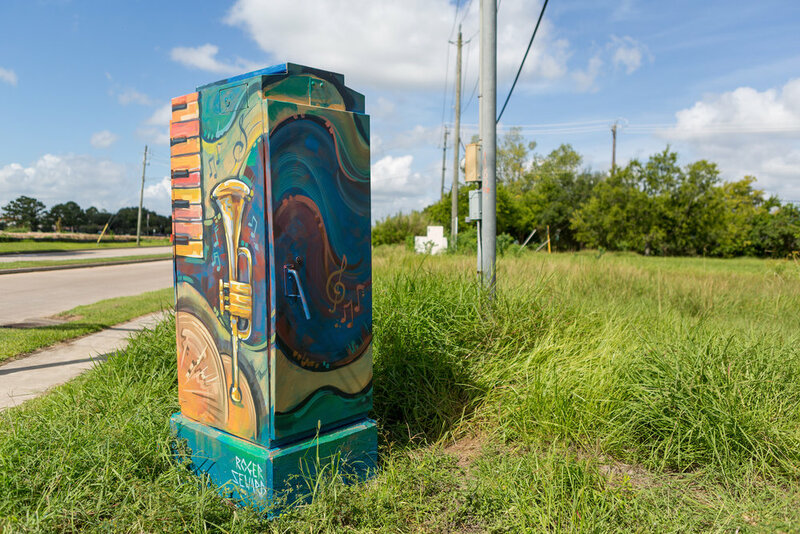 UP Art Studio won $10,000 from Houstonfirst and Visit Houston, and is partnering with Hotel Ylem, Omni Hotel Houston, and Houston Bike Share (BCycle). 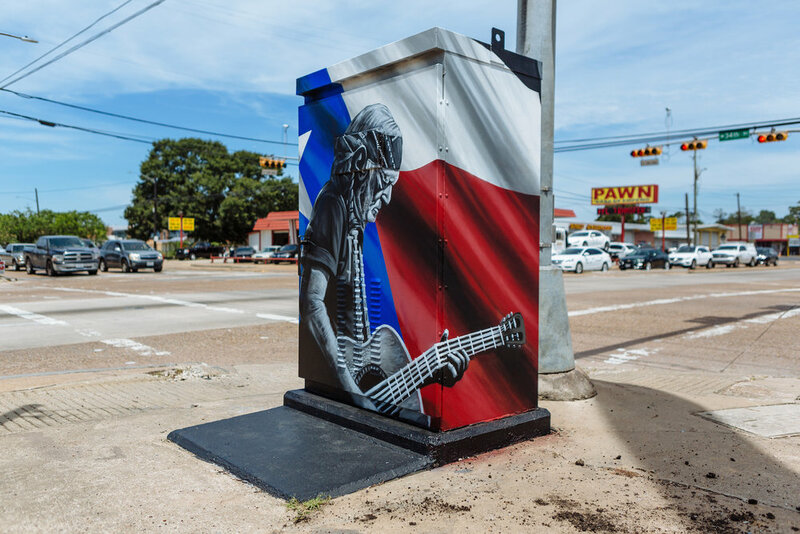 Since starting the Mini Mural Project a little more than 2 years ago, UP Art Studio has helped over 40 artists paint more than 185 electrical control cabinets in Houston. 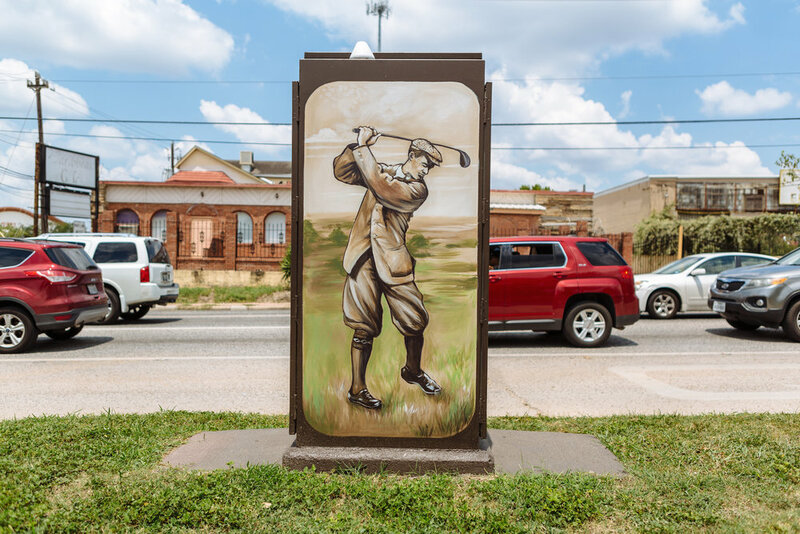 We've had several requests for maps in order to help people go on Mini Mural tours. We're working with our partners to create Bike Tours, Walking Tours, and packages for visitors staying at Hotel Ylem and Omni Hotel. 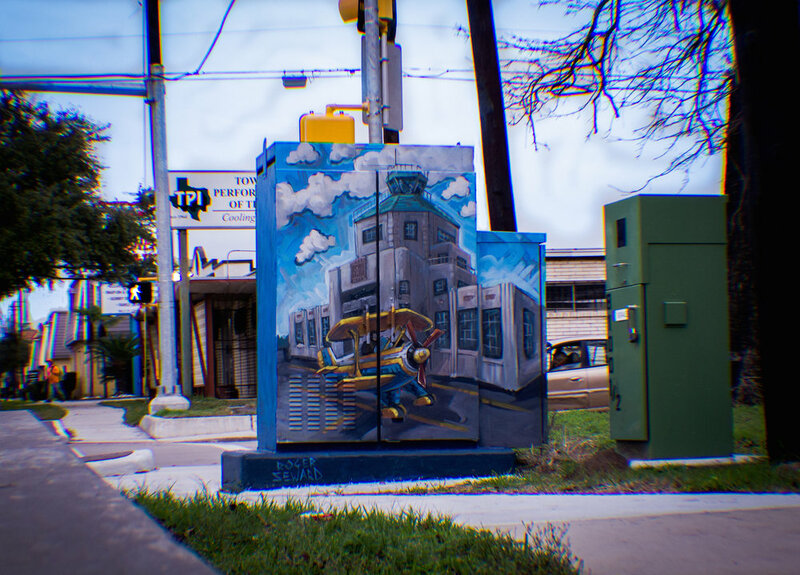 Be on the lookout for Mini Mural Tours happening soon! Visit MiniMurals.org for an interactive map of the boxes. David Mincberg, Chairman of Houston First and Jorge Franz, Sr. VP Tourism at Visit Houston presented the organizations with oversized checks. Other winning organizations include: Alley Theater, Buffalo Soldiers National Museum, Escuderia Charities, Freneticore, Fresh Arts / Spacetaker, Houston Bike Share, Houston International Dance Coalition, Houston Marathon, Lyc Concours, Mercury Baroque Ensemble, Museum of Fine Arts Houston, Houston AfriFEST, Magical Winter Lights, San Jacinto Museum of History, Sea Star Base, Theater Under The Stars, UP Art Studio, Voila Lab, and Washington on the Brazos.